Wash. Dry. Style with Heat. Repeat. Scratch that. Give the hair tools and your strands a rest. 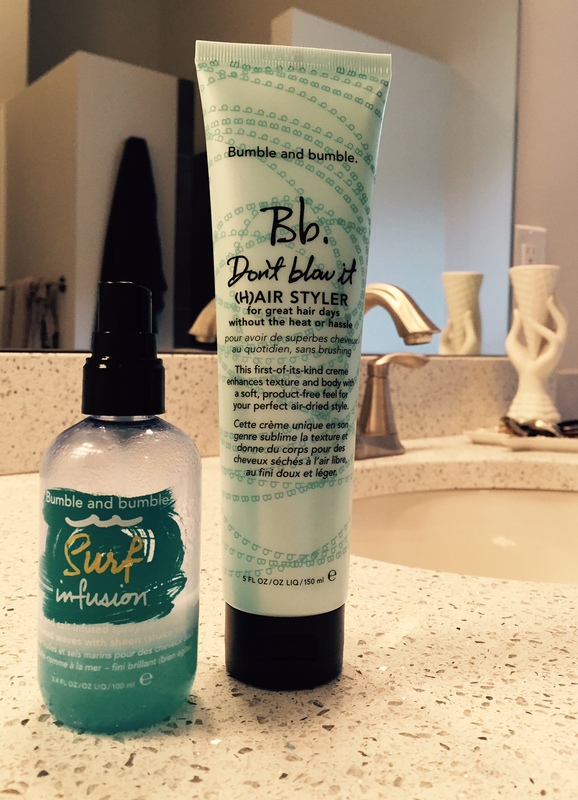 The Don’t Blow It (H)Air Styler from Bumble and bumble is a new air-dry must have. Working from home and chasing two small kiddos on the weekends, I sometimes don’t have time — or the energy — to spend on my locks. And while tousled waves and air-dried looks are having a major moment, my normal air-dry look — when no product has been used — leaves me looking like a hot mess. Enter Bumble and bumble. This new product gives my natural waves a little more texture than the wash and go look… but it really is that simple. I wash, towel dry, run some product through my hair and scrunch or twist a few chunks of hair before calling it good. Another product I’ve really enjoyed in over the last several months is the newer Bumble and bumble Surf Infusion which incorporates oil with the salt-infused spray for waves that also give me a little more sheen, but less crunch than their traditional Surf spray. With this one, I let my hair air dry a tad longer before applying it throughout and wear it loose with a side part. If like me, you’re a busy woman on the go, consider trying one of these products. You’ll knock some prep time off your morning routine and reduce the amount of heat applied to your hair! Any must haves you recommend? Or, are there others you’ve seen on the market but wanted another opinion first? Let me know. I’ll try first…so you don’t have to. Together, we can find and share our thoughts on some amazing beauty products. Email your list to thevelvetbull@gmail.com. I am so excited to try this product. Being able to wash and go is a must when you are juggling work and a family.